It comes as a surprise to some students that there is more to securing a job than showing up for an interview brandishing a shiny, new degree. Robert Nemeth never imagined that at his point in his life his favorite “sports” would be baseball closely followed by Major League Gaming. He never thought he would be following “heroes” who were not on a field, but instead behind a video game. Yet, at the age of 20, Nemeth is doing precisely that. For an 18 year old who’s fresh out of high school Montana State University is a very supportive environment. However, non-traditional students, those who aren’t the typical recent high school graduates, might find MSU a little more difficult to navigate. Incoming freshman at MSU have lots of resources made available to them. Graham Turnage and avalanche dog Erna pause for a moment at Bridger Bowl ski area. 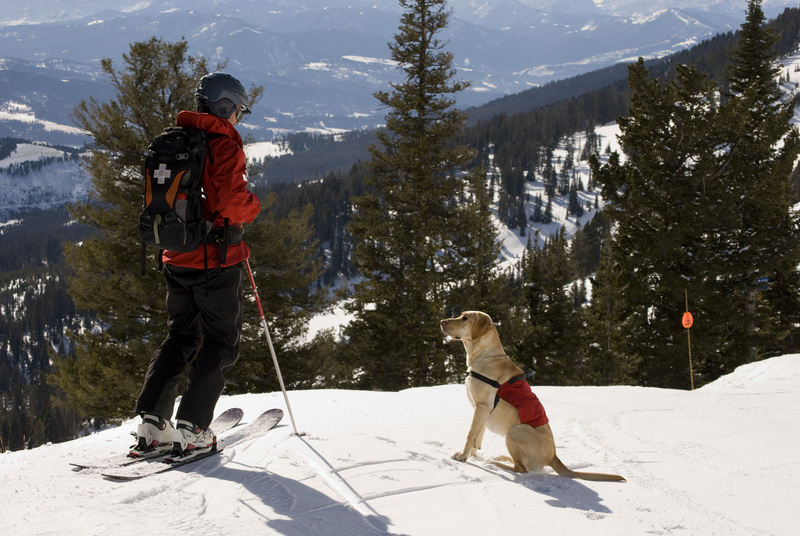 Erna, a two year old yellow lab, works with her human partner Graham Turnage on the Bridger Bowl Ski Patrol. She is one of five avalanche dogs at Bridger Bowl, and each day for the past 30 years, she and other dogs like her, are stationed on the hill at the top of the Pierre’s Knob and Bridger lifts. The 406 Brewing Co., has succeeded far beyond its creator’s wildest dreams. Matt Muth started brewing his own beer in college (majoring in anthropology and minoring in chemistry) and has wanted to start up his own brewery ever since. His formal career in brewing started up when he started washing kegs at the Madison River Brewing Company in Belgrade. He also worked for his current “rival,” the Bozeman Brewing Company. When Montana State University opened its office of Disability, Re-entry and Veteran Services (DRV) 24 years ago, it served 20 students. Since then, that number has increased 25-fold. Federal law mandates equal access to education at all levels for people with disabilities. Here, at Montana State University, the DRV opened its doors in 1988 to comply with the law and to meet the university’s goal of providing accessible programs, services and activities to students with disabilities. Life after college? How about more school? Talor Darfler, 21 and a junior majoring in education, originates from Helena. She’s one year from graduating, and on the brink of starting her life post-college. If she had one day left to live, what would she do? It is quickly apparent to visitors and newcomers to Bozeman, Montana that this town is a little dog crazy, and no one is as crazy about dogs as Heart of the Valley Animal Shelter (HOV). HOV is a private, non-profit animal shelter that serves both the Gallatin and Madison Valley. HOV intakes more than 2,500 dogs and cats per year, none of which are euthanized due to space or length of stay and the shelter is often faced with overcrowding and shared quarters.